For decades, fee-for-service was the standard of American healthcare. Precedent directed patients towards the most costly drug or procedure with the simple understanding that it would provide the best outcome. It seemed clear - the quality of healthcare was as good as the out-of-pocket fee. However, today’s digital and technological transformation has opened a new perspective for providers into what defines clinical value. In this paradigm, true long-term value is derived from the intersection of data insights at the individual and population levels. Unfortunately, the average patient mindset is still firmly rooted in the fee-for-service model. If a value-driven care transformation is to take shape, it’s critical that providers actively engage with patients to help them better understand the true cost of care. This type of engagement will mark a revolutionary change in the patient-provider dynamic where individuals are compelled to partner with their healthcare team. Through this process, they become empowered with the knowledge, skills and confidence to persistently interact with their providers throughout their health journey. In a recent EY US Health Advisory Survey of medical professionals, 93 percent said they were undertaking patient experience initiatives in 2017, but only 26 percent selected patient access/satisfaction as one of their top three initiatives for the year. That’s concerning, as studies have shown that more engaged patients are likely to have superior biometrics like body mass index, blood pressure, and cholesterol when compared to less engaged patients. From a cost perspective, patients who are less engaged in their care also have readmission rates up to 1.75 times higher 30 days after discharge than more engaged patients. So how do we encourage widespread engagement of a value-based philosophy in patients? We need a change in dialogue. More substantively, we need a change in the dialogue between the data, technology and patients. We need to take steps to allow providers a better overall picture of the patient and their environment to help uncover insights and spur a more active level of patient conversation. Below are three ways providers can engage in value-driven dialogue that instills a lifelong wellness mentality in the patient, putting them at the center of the health ecosystem. Healthcare spending in the US has now risen to 17.8 percent of U.S. GDP, a rate that far exceeds any other industrialized nation. Yet Americans have a lower average life expectancy, higher incidences of chronic conditions such as heart disease and diabetes, and higher infant mortality rates than people in other industrialized nations. For too many patients in the U.S. today, healthcare isn’t seen as a long-term investment. With an eye toward saving on short-term costs, patients may unknowingly sacrifice broader health and, consequently, incur greater future costs. On the flip side, many patients may associate a higher price with better quality, without even exploring a cost/benefit analysis specific to their situation. The advent of big data and increasingly sophisticated analytics has the potential to have a profound impact on chronic disease and patient outcomes. With many providers now at the foray of accessing data shared within their care networks, and in some cases, patient wearables, we could see the unprecedented movement to using consumer-generated data in patient interactions. New technologies are fueling progress in the analytics needed to consolidate this wealth of data into meaningful insights for patients. As data from a variety of sources can be gathered, combined and analyzed in new ways, providers will be able to demonstrate to patients the value of a particular innovation relative to its costs. EY’s 2017 US Health Advisory Survey of medical professionals found that only 26 percent of respondents ranked new technologies as one of their top three priorities for 2017. In terms of patient experience, only 8 percent said they are leveraging patient-centric analytics. These figures indicate a ripe opportunity for organizations that are willing to invest in the type of analytics that provide patients with valuable insights. As valuable as the data is, simply providing it may not be enough. Studies using fitness trackers or mobile applications to provide information to people with cardiovascular disease, diabetes or to assist in weight loss have not been universally positive. The data must produce timely and actionable insights that help consumers make healthier and more informed choices. To create this environment, solutions will have to integrate data from a variety of sources: consumer-generated, environmental and medical data will all be needed to provide the kind of context that can helps patients understand their decisions and guide them in the moment. As an example, using text messaging to communicate with patients has been shown to improve medication adherence rates for chronic disease patients by 17.8 percent. Environments designed to “nudge” patient behavior may be most effective when they are just at or are slightly below the level of patient awareness, while still influencing the desired change. 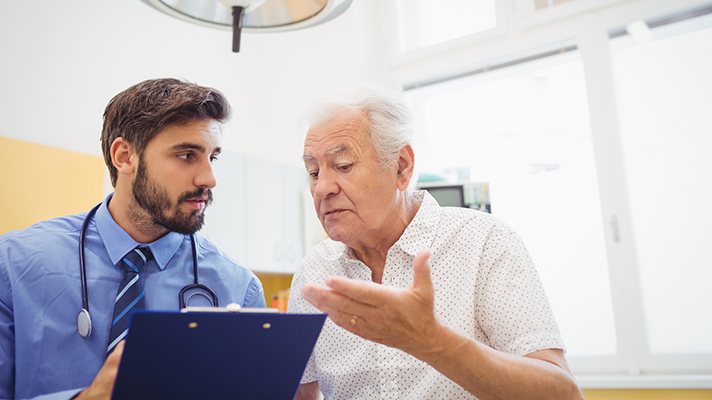 As the shift from fee-for-service to value-driven care continues to gain steam, it’s critical that providers understand this change in organizational philosophy will require a change in patient philosophy. And with patients at the center of the equation, that’s where you start the conversation.